I am so insanely loving these wood slice coasters from Michaels I swear I could decorate an entire holiday house around them! For now, I’ll have to stick with my tree. I’ve already shared a DIY plaid monogram wood slice ornament, and now here’s a super easy snowflake version! Lastly, I added some dots in between each line and at the tips, inserted a screw eye and strung it with ribbon. So simple anyone can recreate this – and I hope you do! We’re halfway through our 12 Days of Handmade Christmas Ornaments series, and at the end of it all (Sunday, November 23rd) we’re hosting a great big link-up and would love to see YOUR handmade ornament creations, so get ready to make and share! 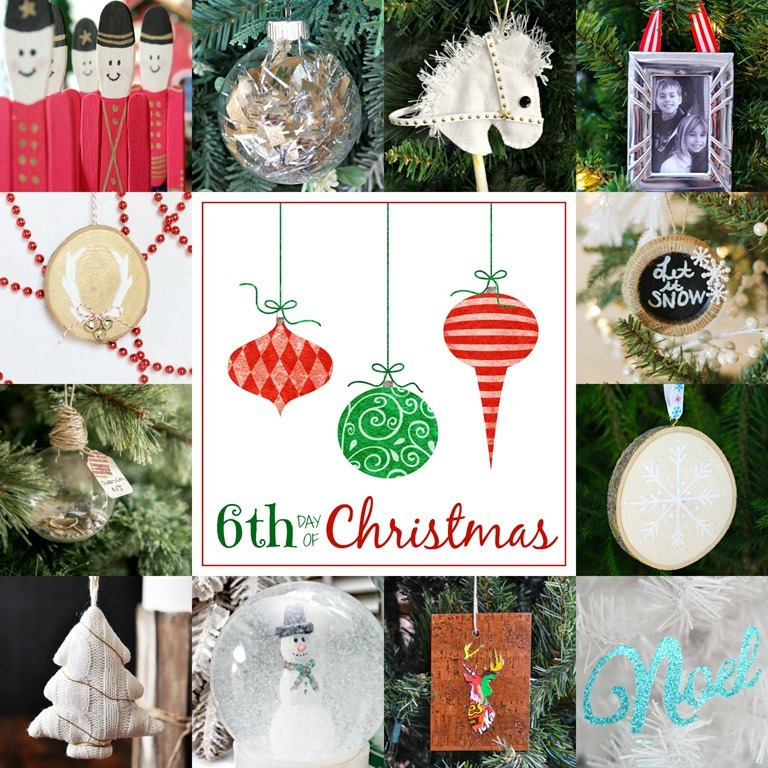 Here are the rest of our Day 6 ornaments – click around and enjoy! I really do need to grab me some wood slices and start decorating! I love your snowflake idea! So pretty! Thank you, Linda! Wood slices are where it’s at, haha! I totally agree with Linda. I need to jump on board. This is adorable! Totally adorable. Never would have thought using a craft pen. Think I need to get one of those. Thank you so much, Vidya! The craft pen was super easy to use.